The hotel was in a great location, and the staff was very friendly. They went out of their way to be polite and accommodating, offered a welcome drink and free 15 minute foot massage. The only downside was that the room had ants and there were some roaches in the bathroom. Not sure if that is due to the location of the room (first floor, next to the pool) or if that is a problem in all the rooms. Stayed here with 2 friends and when we arrived a few hours early the straff helped us with the bags and we could relax at the pool. The room was ready earlier than expected wich was nice. Our room was very clean and The extra ed was really comfy with fluffy pillows. Loved their breakfast and The pool area was super nice to relax after a day at the beach, wich was 5 min walk from the Hotel. Would recomend this place! 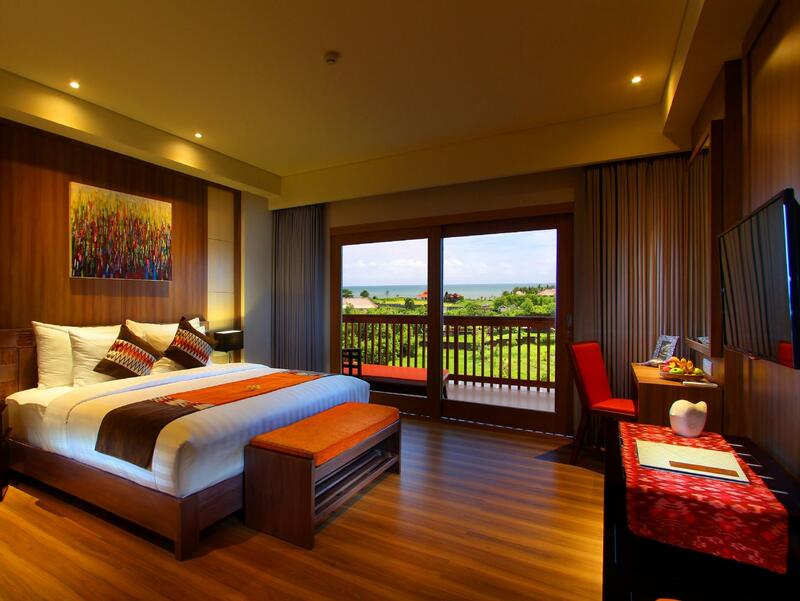 Nice room, 204, outlooked the sea with balcony. Nice tv, shower and amenities. Improvements, air con took over an hour to get to acceptable temperature, so maybe on its way out. (Saw them fixing an air con machine on the ground floor). Great option for breakfast but I found hair in mine on the second day, told staff that they should be wearing hair nets... No milk or powered milk for the complimentary tea and coffee. It’s a simple hotel with very friendly staff and an airy, open concept. Rooms are average size. Sometimes issues with not enough hot water in my room. However, despite the minor shortcomings I do think this is in an excellent location along Batu Bolong. It’s halfway between the beach and Deus, a short walk to either one. That means it’s surrounded by restaurants and you’re not too far from surfing and beach bars, or any of the excellent cafes and restaurants near to Deus. Would stay again for the friendly staff and the great location. I spended 3 nights in the Kirana and I wish I could have stayed longer. With a big discount we didn’t pay much and got a great room. The bed and pillows were the best I’ve ever had. On my birthday the staff surprised me with a chocolate cake and candles while singing ‘happy birthday’ to me. I would definitely go back. Also walking distance from many restaurants and the beach! Everything was fantastic! The staff couldn’t have done more to help us, the spa treatments were amazing and so cheap! Location is excellent too, just 5 min walk from Batu Balong beach. The breakfast was extensive and delicious, and the pool was exceptionally well looked after and immaculate. Couldn’t recommend it enough. Definitely stay here again. Centrally located in Canggu area. Just lovely staff, very helpful and nice! Room was spaceous and had everything we needed. Good bed to sleep and good housekeeping on daily bases. Good breakfast but when staying longer we would have enjoyed more if there were more than three menu options. Very recommended hotel. Located in the heart of Batu Bolong Street's precinct. Cafes, minimarket, boutique, spa, salon, nail salon, local shop are around. Everything was perfect. Excepet no hairdryer inside room. Rooms are spacious enough. Swimming pool is good. Free 15 min foot reflexology were perfect bonus. 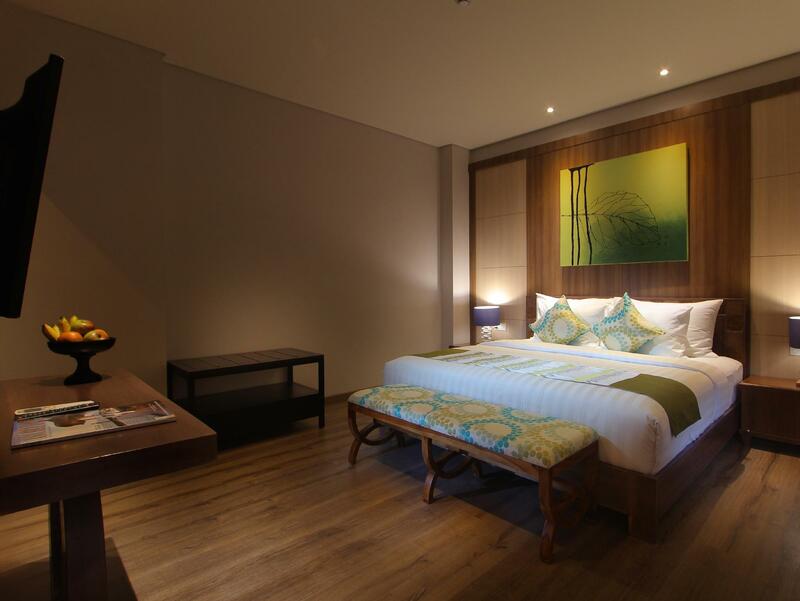 Welcoming staff, great price, solid rooms. 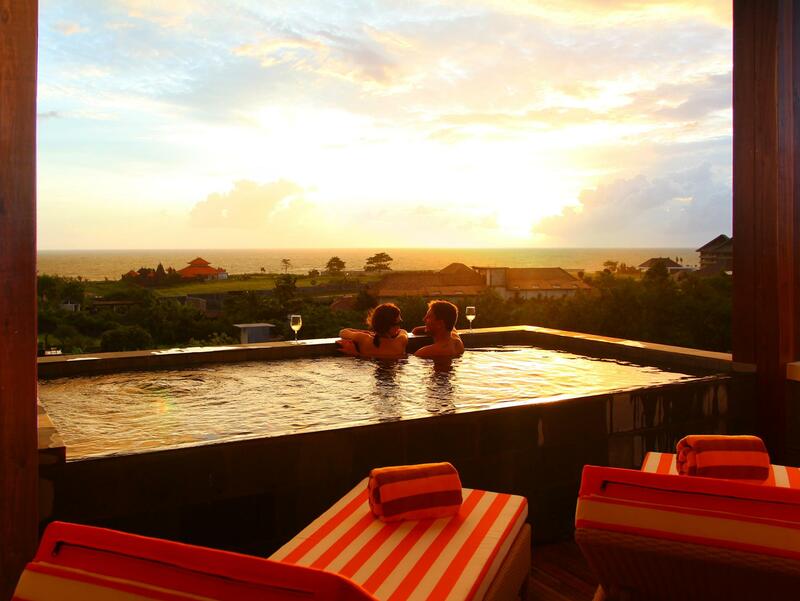 Great place to stay for a quick weekend or short stay in Canggu. We were able to walk to a lot of great restaurants and shops. I got a beard trim right across the street at the local barber shop. The pool is nice and centrally located, which was good and bad. We had people sitting directly outside of our room on the pool chairs and talking quite loudly in the morning, it did not feel very private and was a little rude of them in my opinion. Otherwise I would recommend this as a great value. It wasn't the best value for $$ in Canggu, but the staff was incredibly helpful and the location of the hotel is very central to Canggu. Staff gave me tips on the area and helped me arrange a motorbike rental for my time in Canggu. Wifi was very spotty and rarely worked in my room. AC was strong and beds were comfortable, although the "queen" bed was two twins put together. I am such a very lucky customer. From location, rooms facilities, service, all perfect! My room is in 2nd floor, very nice and cozy with nice view. Although they are renovating, but it didn't disturb me at all. They offer free shuttle to some places also like Seminyak. They also give free rent bike and 15 minutes massages as compliment once arrived in hotel. Absolutely will come back in here. This is my first ever solo experience yet to Bali! Having heard so much about Bali and had to google an accommodation that suits for everything including safe travels and security, I chose Kirana for the location along one of the most accessible and busiest roads in Canggu- the street wakes up after 8am! One of my most pleasant stay I’ve ever had having as my ultimate retreat. It was also my first ever lifetime experience of Balinese Massage and Foot Massage yet at Kayana Spa, Kirana Hotel- WOW I’ve got to say I truly enjoyed inclusive the friendly hospitality & customer service! This is the retreat place to be, affordable price! (Ie. 30 mins foot massage for IDR 90 000 yet in luxe place whatcha say!) On another note, if you know how to ride a scooter it’s a bonus as only local taxis are allowed in this area. So plan your daytrip well and wisely! 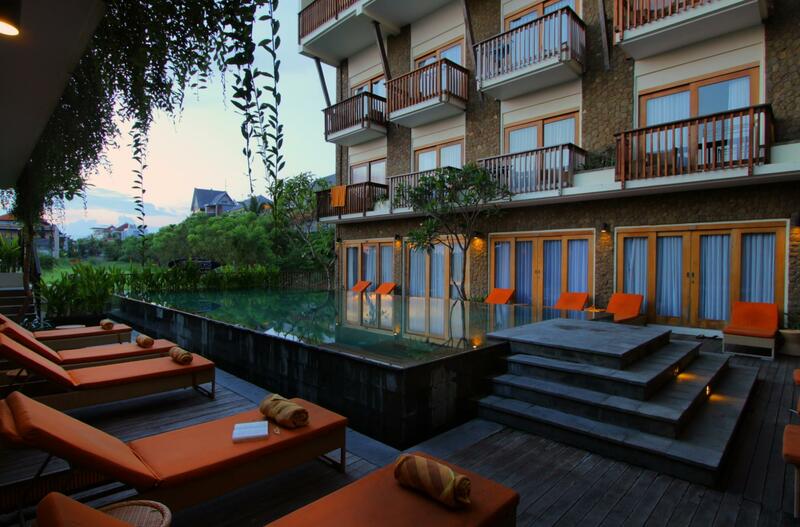 Great location as you are right in the busy heart of Canggu! Hotel was satisfactory, however for the price I did expect something a bit better in regards to cleanliness and facilities. The stay was nice but I think you could find similar rooms for a cheaper price in the same area. I had a very enjoyable time with kirana. Yes it’s a small hotel, may seems smaller than the picture, but the staff here are lovely and helpful. 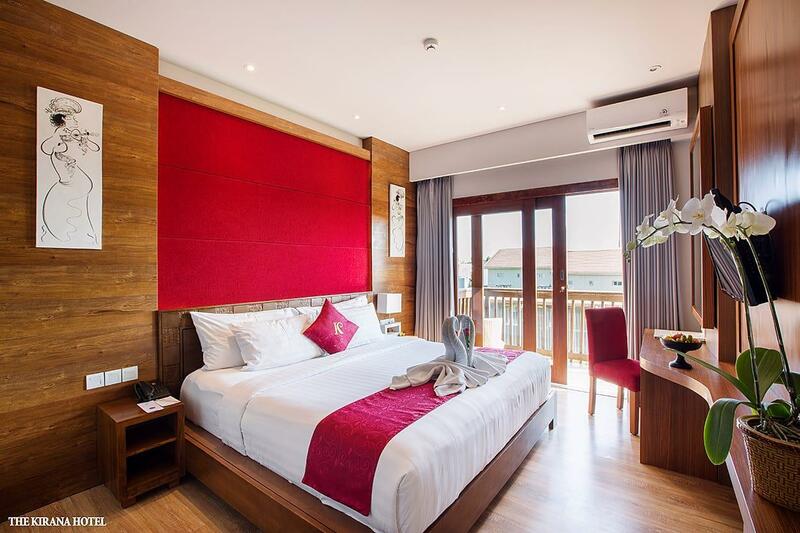 Also it does not accommodate many customer since it’s a small property, it definitely matches your “quiet and relax vacation goal”, no load music, no yelling at night even though it is lactated very close to the beach. If you like to experience party atmosphere, there more bars and restaurant open until late night, just in walking distance. The spa in the hotel is very good, the price is actually cheaper than some of the spa center outside with proper service. Upon check-in, I was offered voucher for free dinner and massage, this is amazing! Since the breakfast is already included, I ended up not spending much money during the stay. Very central. Good cafes and restaurants nearby, on the main strip but still quiet enough, 10 min walk to the beach. Didn’t eat at the restaurant as was unsure but Spent most of our time at “In the Raw” cafe and walked to “the lawn” for drinks. Staff were very friendly and always helpful. Highly recommend and Would definitely return. Upon arrival we were greeted by such welcoming and polite staff members, and their hospitality did not go unnoticed throughout our stay! The food was delicious and they offer a selection of dishes from around the world for breakfast, lunch and dinner. I would definitely come back here again - especially for the massages!